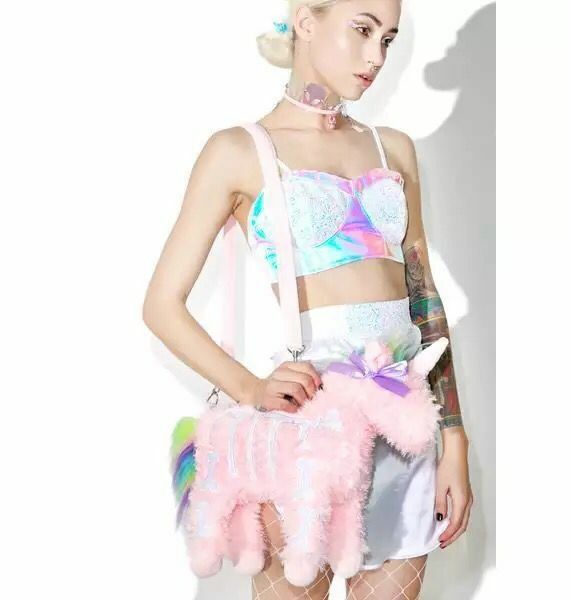 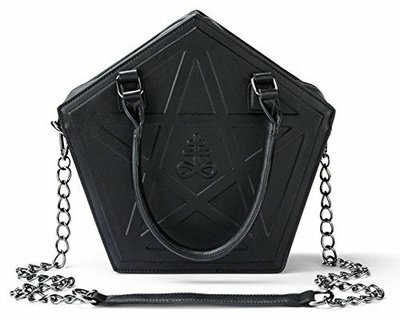 Anywhere you go, it’ll be impossible for anyone to beat you in the battle of the best bag while you have this unique unicorn by your side. 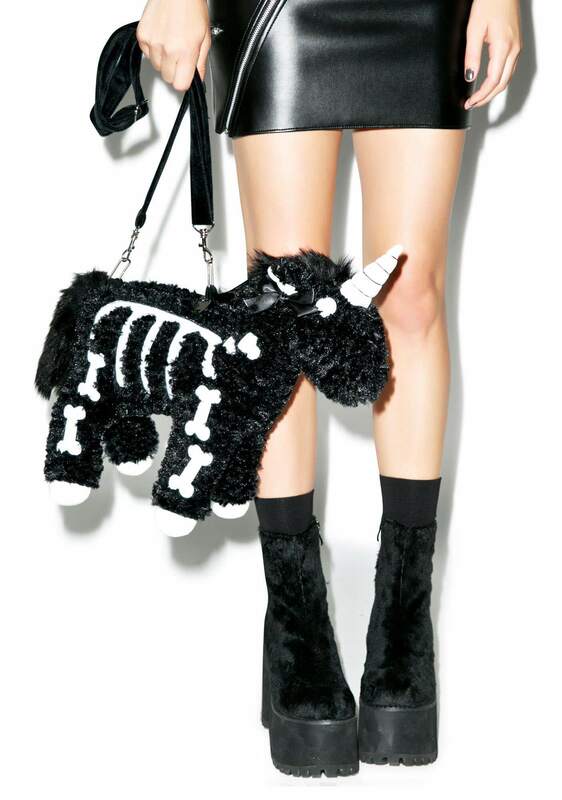 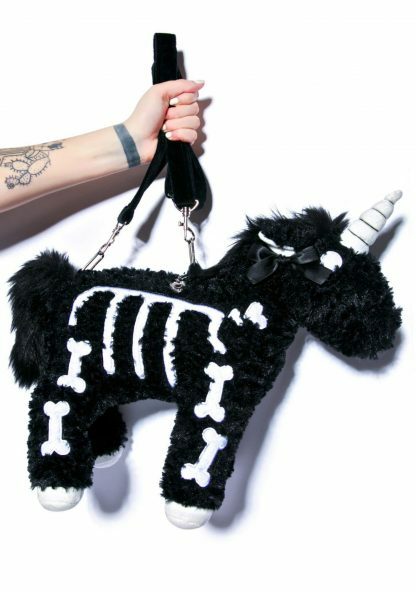 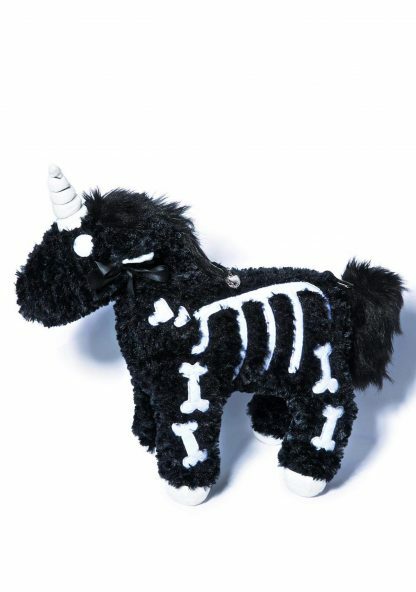 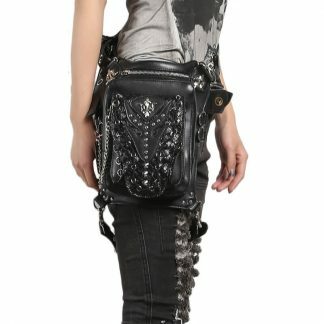 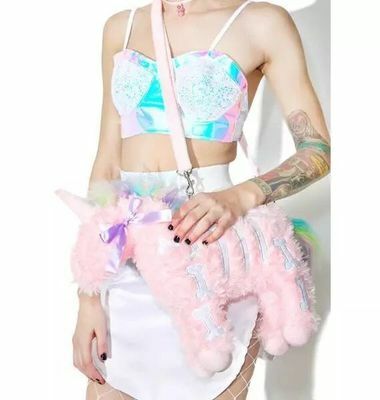 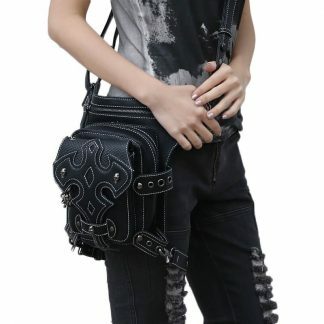 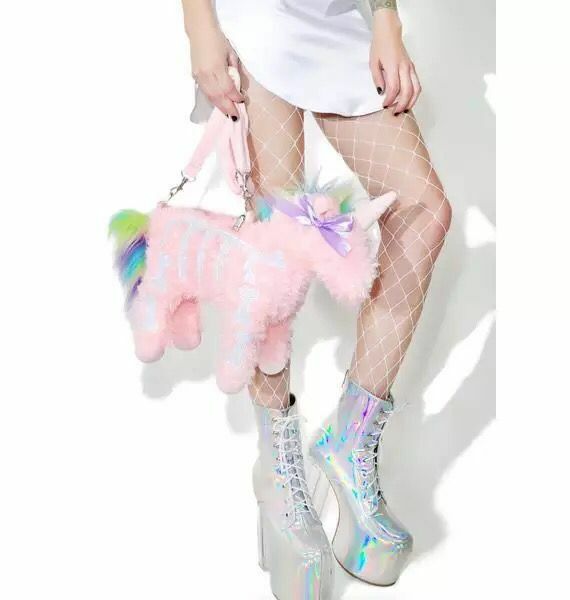 This ferocious and fluffy unicorn purse has a body covered in black faux fur, topped with an amusing skeleton design and a silky black bow to complete the look and add a touch of innocence to the edgy aesthetic. 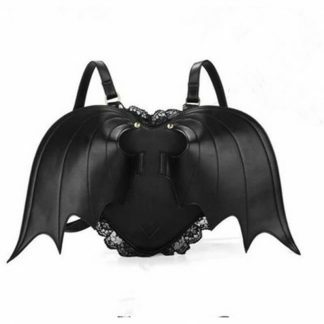 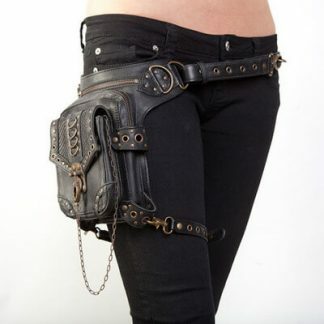 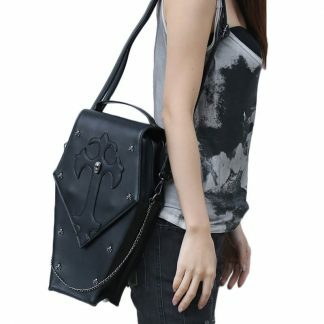 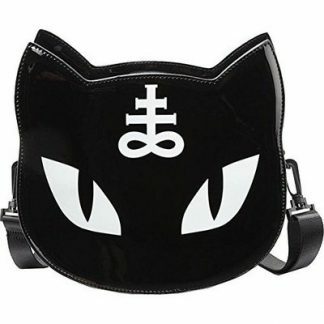 It can be worn as a shoulder bag, a crossbody/messenger bag, or even as a handbag–its strap is versatile and allows for options depending on your needs.